Disclaimer: This is a noncommercial fan site. 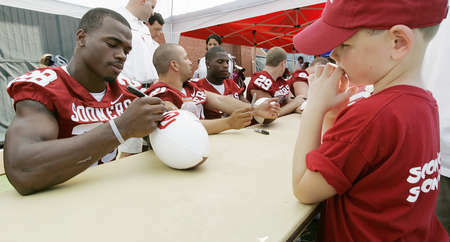 He will always be a Sooner. We are excited to officially kickoff the 2019 All Day Elite camp tour in Norman Oklahoma. Boomer Sooner nation im coming home! Washington officially re-signed RB Adrian Peterson today to a two-year contract. 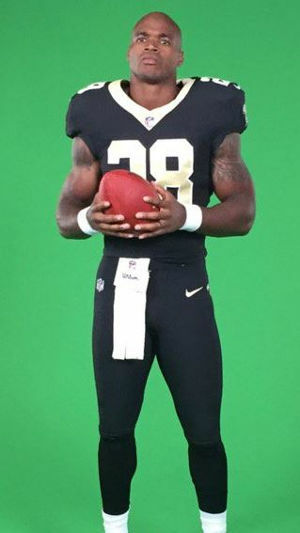 The new RB in town? 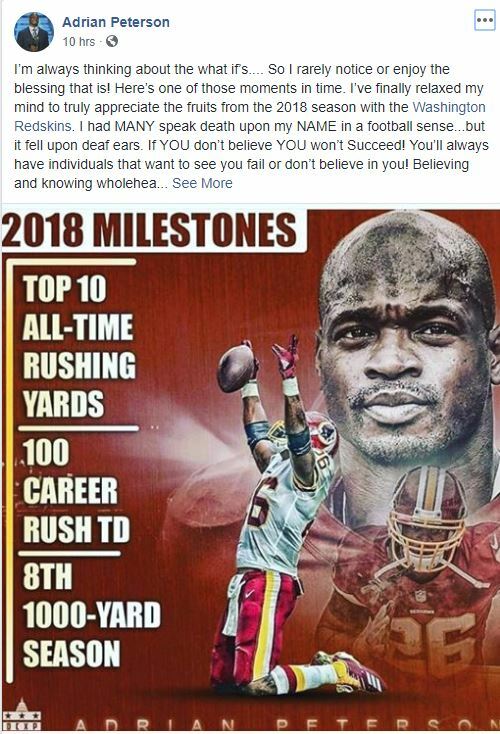 And so Adrian Peterson is a Saint. If Adrian Peterson is visiting the Patriots, he's reset his financial expectations. They pay running backs like they pay longsnappers. Vikings RB Adrian Peterson is out for Week 17. Career in Minnesota could be done. Adrian told me the timeline doctors gave him was four to six months. Surgery was Sept. 22. So he's always been pushing it. That's him. Peterson disappoints / What, if anything, can we read into Adrian Peterson’s slow start? Game 1 vs Titans, 19 carries, 31 yards, ouch. Update Adrian Peterson stats page. Andy writes "Adrian Peterson is still the best pure runner in football. True, far too many of his runs last season failed to get back to the line of scrimmage, but that’s what happens when you put a superstar running back behind three backup linemen and with a quarterback who doesn’t threaten the field vertically. What makes Peterson special is his violent downhill burst paired with explosive lateral agility. No player moves left and right in confined spaces with such balance and force." Q: You’re still a run-first team. A: Yeah. It’s going to go through Adrian (Peterson). That’s how it is. But we’re trying to be a little more diverse in some of the things we do. Q: How close is Adrian to practicing? A: He’s close. (The hamstring strain is) real slight. Real, real slight. He can do a lot of things. It’s just I don’t want him full-go yet. He’s probably 95 percent or something like that. Q: Can he still handle the workload like he has at age 31? A: Oh, yeah. He’s 6% body fat. He’s a stud, man. And he works. And he’s excited about it. I think he’s excited about the changes we made on the offensive line, the new guys we brought in. Adrian Peterson a bulldog against NFL's top run defense. The Vikings star busted past eight-, nine- and 10-man fronts. 11/9/2015: Adrian Peterson leads the NFL in rushing, again. 9/28/2015: Vikings 31, Chargers 14: Adrian Peterson says, 'Yeah, I think I'm back' Adrian Peterson leads the NFL in Rushing! 4/15/15: Adrian Peterson is eligible for reinstatement by the NFL today. With Adrian Peterson nearing a return to the NFL, the next question is: Where will he play? The Cowboys and Cardinals are possibilities, but don’t expect either to act desperately. 2/25/15: NFL Trade Rumors: Could Minnesota Vikings Trade Adrian Peterson to Indianapolis Colts? Looking for something? check our Archives I started this site September 2004, the best Adrian Peterson site on the net. Archives from Sept. 2004 to September 2014 there.